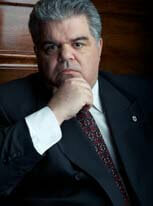 Michael J. Palumbo, Esq., of counsel, received his Juris Doctor Degree from Pace University School of Law in 2001. He has extensive trial litigation and appellate practice experience. Prior to becoming an attorney Mr. Palumbo was a police officer. He also has vast past experience working as staff counsel at a large insurance defense firm. Home > Michael J. Palumbo, Esq.